Do you have a squash sitting on your counter still? One that you bought a couple of weeks ago and just never got around to using? No judgment here, don’t worry…I only ask because I have encountered this situation not once, but TWICE in the last week. I can’t believe it! People, use your squash! This recipe was born of just such a necessity, and let’s just say, it almost made me glad that the squash had been banished to the corner of the counter and forgotten until I arrived. Is it a pizza? Is it a flatbread? It’s pretty much whatever you make it. So make it a good one. I realize that the ingredient list and instructions look daunting. It’s actually really simple though, so don’t be afraid! It’s also really worth it. Preheat the oven to 450F, place a pizza stone or heavy sheet pan inside to preheat as well. 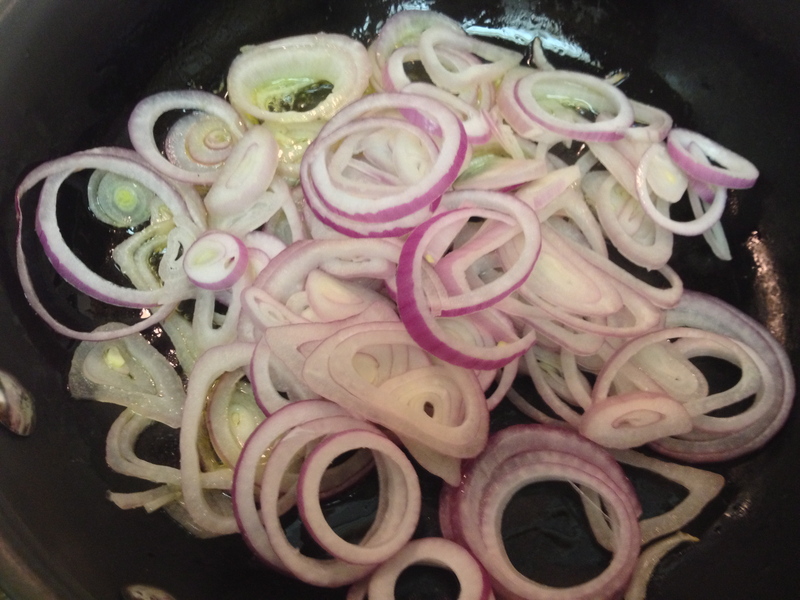 Thinly slice the shallots and mince the garlic. Place in a sauté pan over medium-low heat, let sit for about 20 minutes, stirring occasionally. The shallots are done when they smell sweet and are almost crispy. 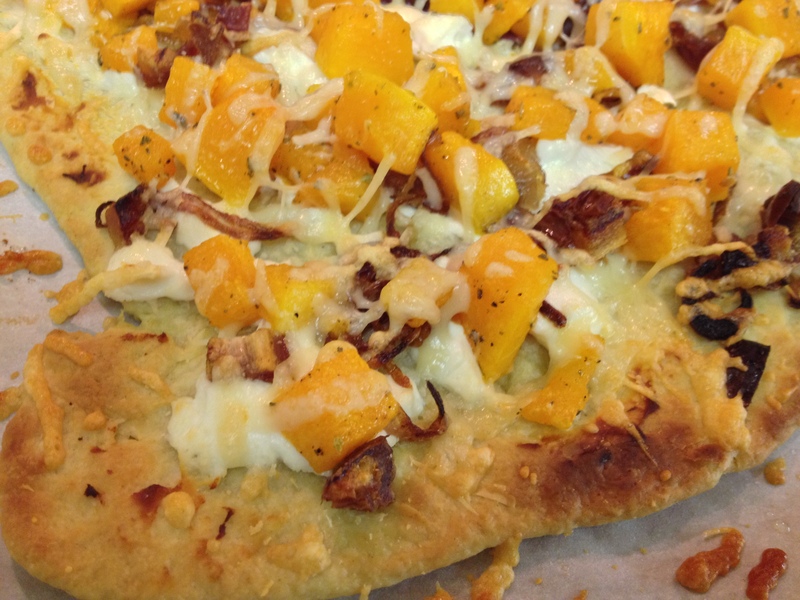 Bake the butternut squash in a rimmed cookie sheet for about 15 minutes, or until soft. You can do this while the oven preheats for the crust, just be sure to watch it so it doesn’t burn. Combine flour, baking soda and salt. Mix. 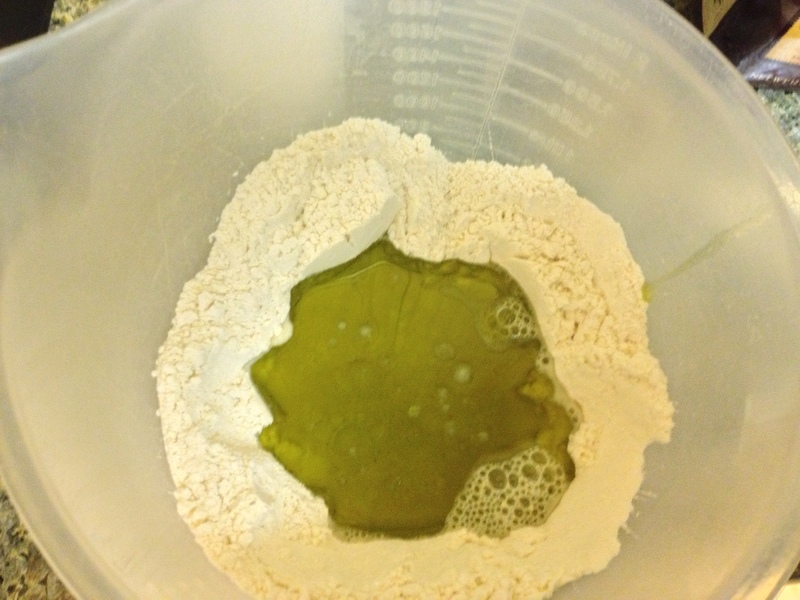 Make a well in the flour mixture and add the olive oil and water. Gently mix the wet ingredients into the flour mixture using a wooden spoon. Gently knead the dough 4 or 5 times and gather into a ball. Divide the dough into 2 smaller balls. Roll out one ball onto a sheet of parchment paper. 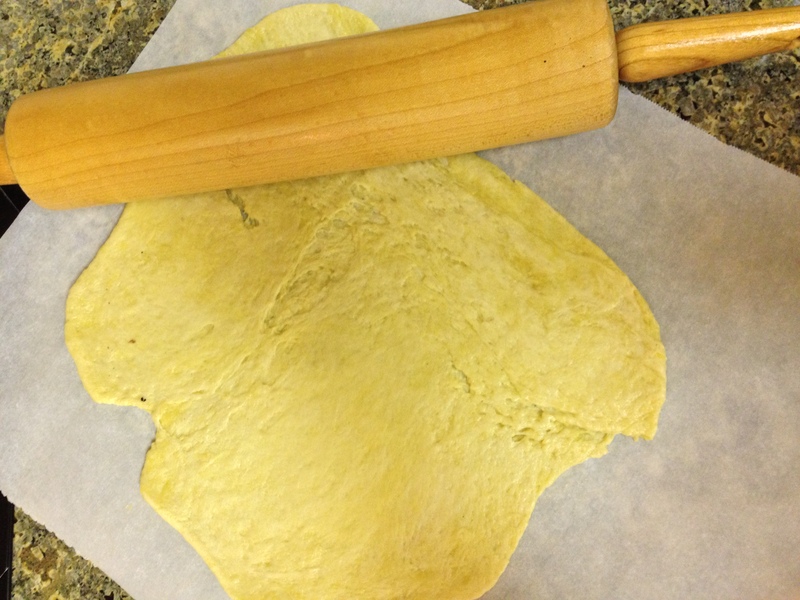 The dough should be a little thinner than a pizza crust and rectangular-ish shaped. Bake for about 5-7 minutes or until the edges are golden-brown. Remove from the oven and spread the goat cheese on top of the crust. 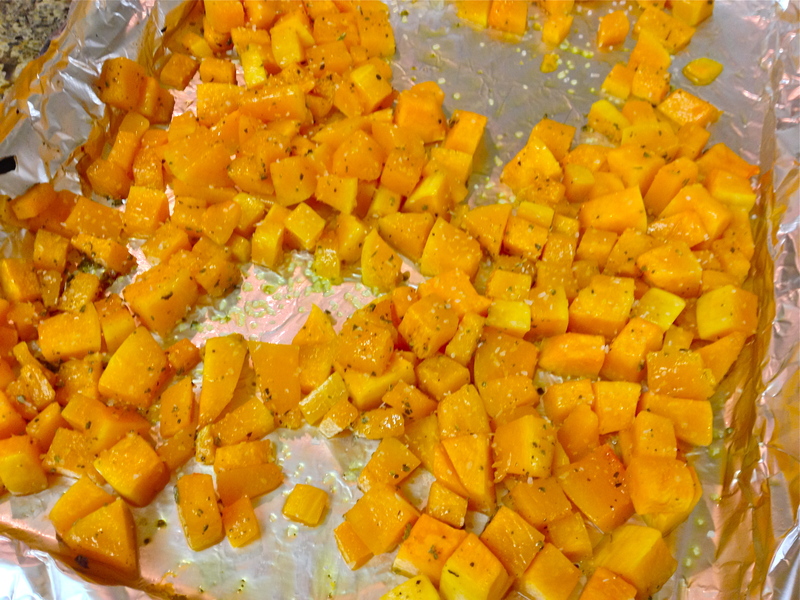 Sprinkle with everything else: squash, shallots and garlic, bacon, dates, salt, pepper, parmesan cheese, and the kitchen sink. Return to the oven for 5-10 minutes or until everything is heated through and the cheeses have melted. Remove, allow to cool and slice into quarters. Repeat with the other crust.